Every summer without fail my family makes a point of throwing a few barbecue’s – well, except for last summer. Last summer we were really busy and never managed to pull one together, so the second the weather began to heat up we made plans to go grillin’! 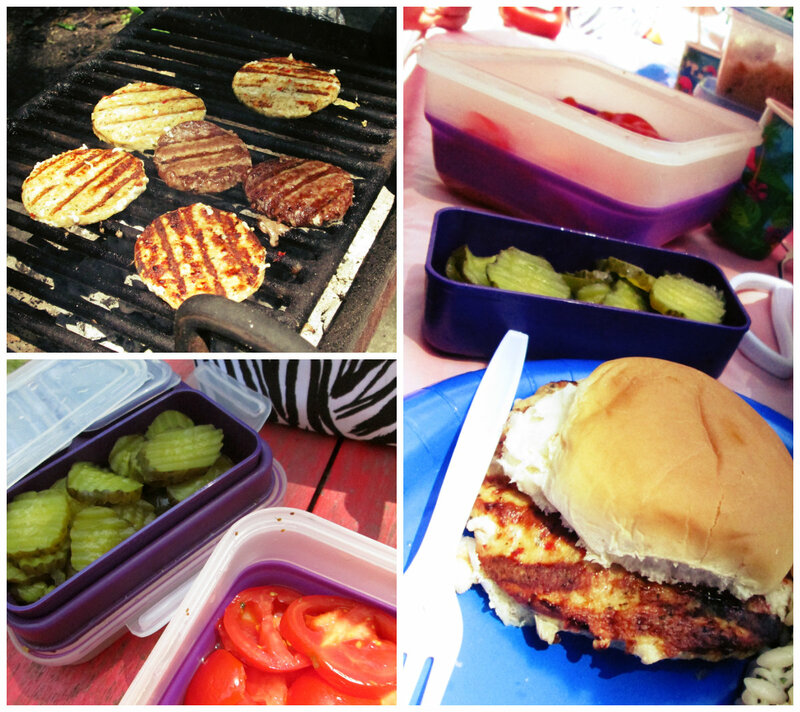 Living in the city means having to go to a grill friendly park to get your barbecue on – so you have to be really selective about what you bring with you and how you carry it, because you’ll be traveling with it. Luckily for us I recently received Cool Gear’s new Collapsible Bento Box and Basic Lunch Tote Bag – which are really both lifesavers when it comes to transporting food! 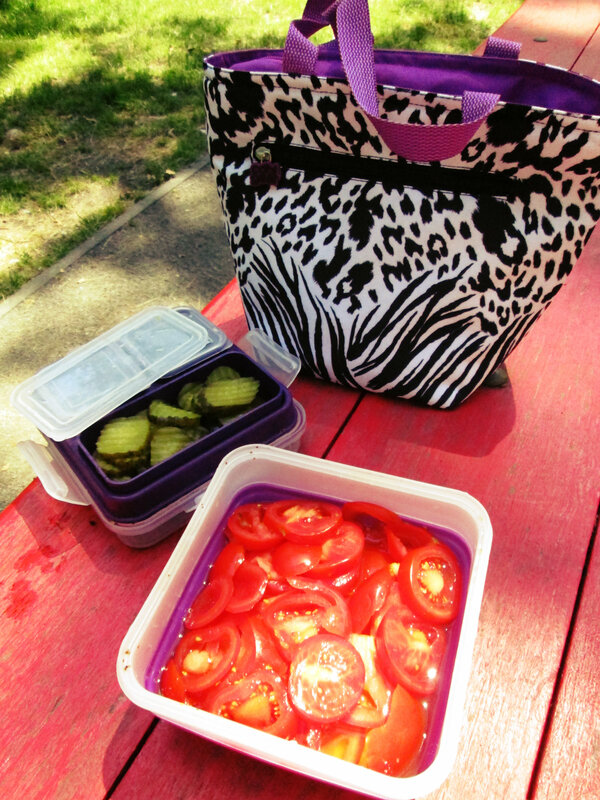 We used the Collapsible Bento Box to bring our pickles and our tomato cucumber salad. Seriously, the Bento Box is one of my favorite items of the summer – the bottom collapsible portion stretches out to hold quite a lot of food (salad, a meal, whatever you want! ), the middle part holds the three smaller containers – but it’s also able to be frozen, which keeps both the items in the top and bottom sections cool. Love, love, love it! My sisters, brother, and parents all want one of their own now! 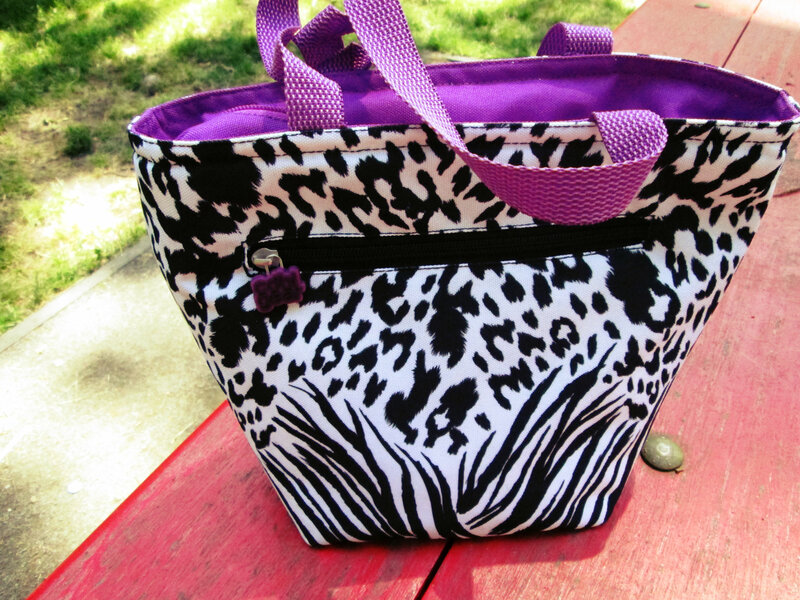 I used the Basic Lunch Tote Bag to tote the Bento Box – it’s super cute, and Cool Gear offers lot’s of styles. It’s very roomy and sturdy, and comes with a zip pocket on the outside. I stored some first aid items in the zip pocket and used the bag to store my camera in when I wasn’t using it so it wouldn’t overheat by sitting out in the sun. 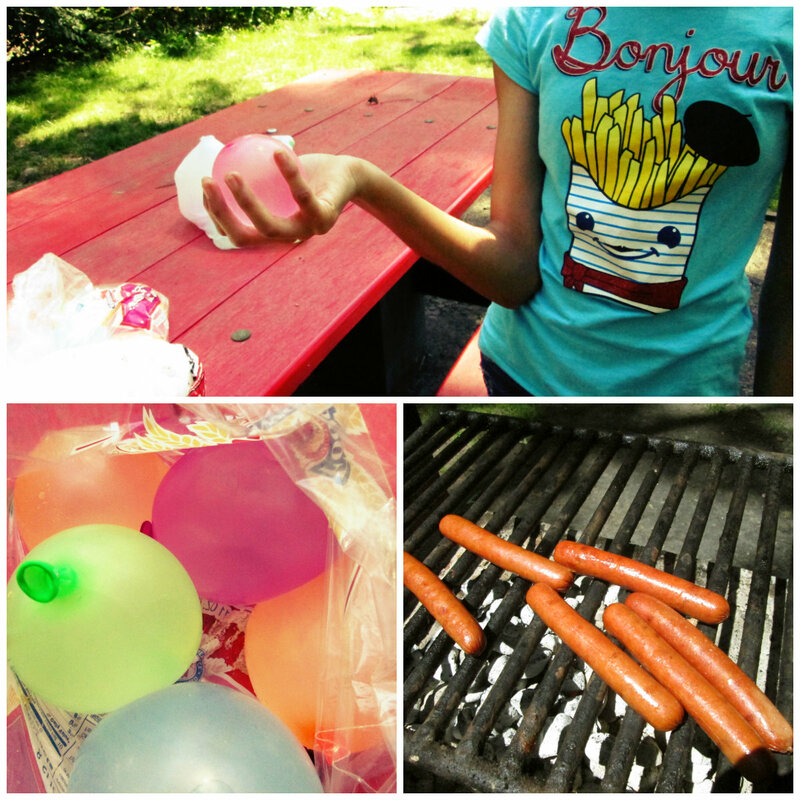 Water balloons & hot dogs? Yes please! We ended up eating all the salad that we packed in the Bento Box, so we were able to collapse it – just slide the bottom portion onto itself, it’s great! Both the Bento Box and Tote Bag were excellent space savers and kept everything cool – even after five hours! Check out Cool Gear, and their amazing products here! And don’t forget to check out the Collapsible Bento Box here, it retails for $12.99 and is worth every penny!